A coordinator of Social Advocacy & Health ­related Support for Transgender and Gender-Variant People. 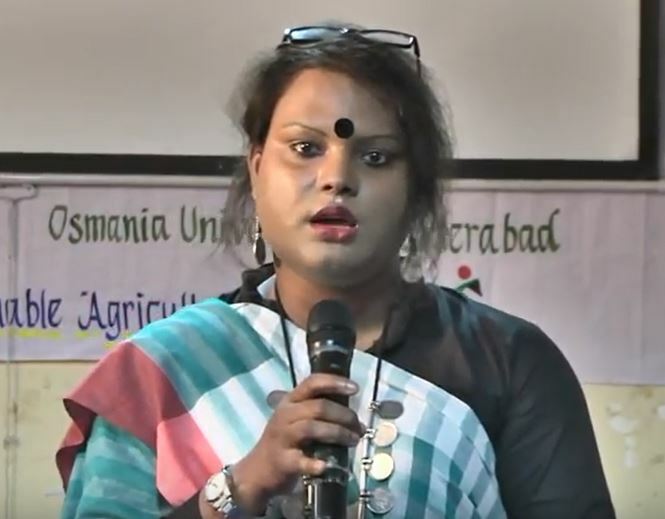 Sumi has been actively working on Community-based advocacy, Empowerment work, HIV-AIDS prevention among transgender and sexual minority communities in Coochbehar district and other parts of West Bengal. Sumi left home at the age of 14 and has been fighting for the rights of transgender communities since then. She has been working with a Dalit activist to bring together the intersectional forces between the Dalit and Transgender movement. Sumi lives in a rural area of Coochbehar where she works with institutions and social groups for the equality and rights of transgender people as well as with those who struggle to come out. Sumi Das is a project partner for AID for Karna Subarna Welfare Society.